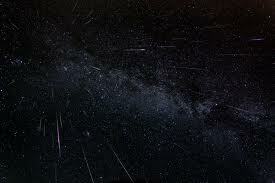 The Perseid meteor shower we enjoyed earlier this week is known as the “Tears of St. Lawrence” here in Italy. St. Lawrence’s feast day falls on August 10 at the beginning of the annual Perseids, and it is widely celebrated here. Lawrence is remembered for two things. The first is his association with the Holy Chalice, the cup purportedly used by Christ at the Last Supper. According to tradition, the cup passed from St. Peter, the first pope, to his successors until 258 when the Roman government demanded that all church relics be turned over to them. The pope at the time, Sixtus II, gave the cup to Lawrence, one of his deacons. Lawrence, who hailed from Spain, is said to have sent the chalice to his parents there. Italian celebrations to St. Lawrence sometimes focus on the chalice theme. A group called Chalice of the Stars organizes stargazing events on August 10. Across Italy, people gather in piazzas to drink wine as a toast to St. Lawrence and to watch the Perseids. This year, the sky was clear, and the show glowed. 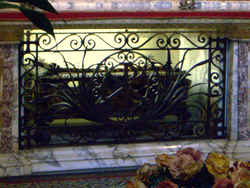 Lawrence’s death marks his second claim to fame, the reason he rose to sainthood. As a deacon, he held the responsibility of distributing alms to the poor. When the persecuting Romans executed Pope Sextus II, the Prefect of Rome ordered Lawrence to show him all the church’s treasures. Lawrence complied by lining up true believers and offering them as the jewels of the church. The enraged prefect sentenced Lawrence to death by barbecue. He was tied to a large metal grill and placed over a slow fire where he was slowly cooked to death. Legend has it that midway through he called out, “I’m done on this side; turn me over.” Thus St. Lawrence is the patron saint of cooks and chefs. It is a gruesome story. But I rather like the Calici di stelle celebration with people drinking wine and enjoying the meteor shower. Did you know that you can create short urls with AdFly and receive $$$$$ from every click on your shortened urls.